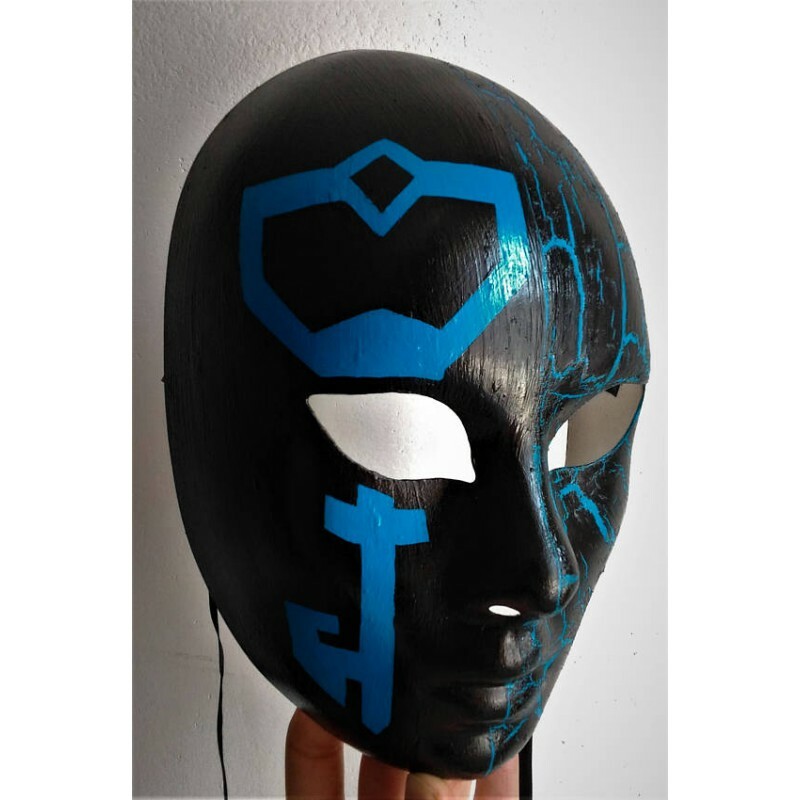 Resistance Ingress Mask - Ingress Shop 3RD Faction: Buy Ingress Items Legal! By buying this product you can collect up to 125 loyalty points. Your cart will total 125 points that can be converted into a voucher of $12.50. Ingress mask made of plastic handmade decorated with the Resistance symbol and crackle paint. Refined with shiny paint. 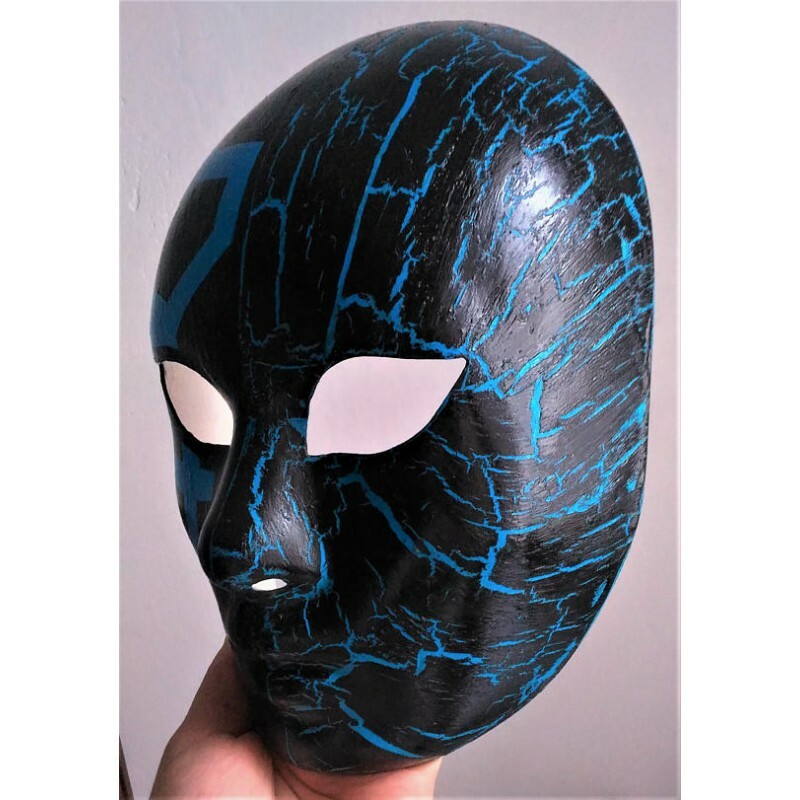 This mask is wearable and provided with black fabric laces. Great piece of furniture to the wall, suitable for any type of furniture. Great present to your ingress friend. PLEASE NOTE: Due to the build time and quantity of materials that these masks consume, be aware that orders may take up to two weeks to complete and ship. We will try to notify you if such a delay will occur. BULK ORDERS: Please contact me prior to ordering if you intend to place an order of 5 or more masks.